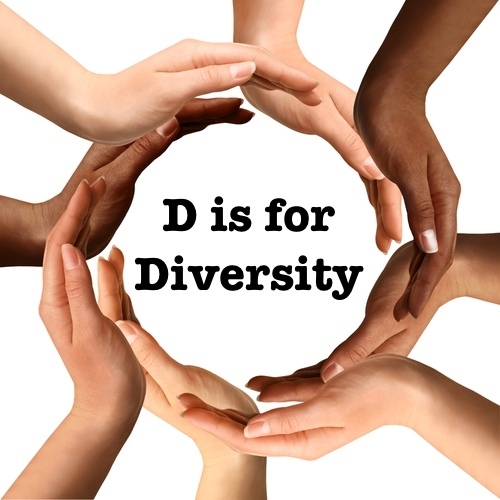 Editor’s Note: D is for diversity or difference. I love diverse views, people, places and experiences. I believe one of the most fascinating things about living today is the amount of cultural, ethnic, generational, and experiential slices there are to this very big pie called life. It’s why I bring different perspectives weekly by hosting remarkable guests. While we still have four generations in the workplace, our world has been shaped and forever changed by globalization, modern science, medicine and the social revolution. We are living longer therefore we have the unique opportunity to learn longer about how we can co-exist and collaborate more. When we embrace all forms of diversity, it truly opens our minds to different thinking, better outcomes, and more opportunity for all. Thanks, Candice for sharing the lessons you’ve learned across differences. What do you think when you hear the word diversity? Really…what images pop up in your mind? Over the course of growing my career, my kiddo, and myself, I learned that when my resource options are limited, it—at best—puts a damper on the situation, and –at worst—can be utterly destructive. And I have a sneaky suspicion that most of you have also learned to appreciate the value of diversity. To be even more revealing, below are a few highlights from my career, and the lessons that I drew from each experience. …that was a definite ‘record scratch’ moment for me. I often refer to this story as “GenX’ers versus the Boomers” – sounds like an obscure Greek Myth, but it is a handy way to remember the scenario. For a moment there, while waiting for the punch line to hit me in the face, I felt like I was up against a fearsome inner-daemon. I was a fresh-from-college university instructor, leading an upper-level research project, with students ranging in age from early-20’s to upper-40’s. Picture the awkwardness of the situation: I walk into the lab, standing at the front of the room. No one really pays attention at first, until I’ve stood there quietly for a few moments. Then, someone says, through a concerned smile, “are you teaching this class?” (Yes, emphasis on ‘you’!) The looks of quasi-despair did not discourage me, since I had command of all the technical stuff. (I was more concerned that no one made the connection that we were probably not there for the same reason, as I was wearing a blue coat and everyone else was wearing white.) Eventually, we worked out the kinks within a few weeks, and our generational differences were no longer an issue. At least not until the “GenX’ers versus the Boomers” saga, when an older student confronted me on ‘what my problem was’. That’s when I truly learned about generational divides. Ultimately, he was concerned that my multi-tasking was compromising the quality of our discussions. I explained that I meant no disrespect, and we talked through our different approaches to communicating while working. 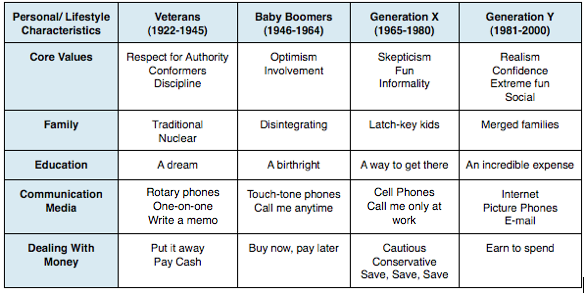 Now, every time I see a chart of the characteristics of the four generations in the workplace, I am reminded of this learning opportunity. And when I join a new team? Yes, I ask how everyone prefers to communicate. Lesson: consider different frames of reference, and you can communicate more effectively with anyone. …you can’t make this up. Not even the part when the entire board room chuckled with laughter. Oh, it was a riot! Now, try to imagine who said this to me, and what the scenario may have been. If you guessed “CEO with a problem that he expected to hire PhD’s to solve”, then you are in the money! Granted, the meeting was scheduled for the wrong time zone, causing us (the PhD’s) to arrive an hour late. So, there was no socializing before the presentation. I get it, and have no hard feelings about it. But when we did the card swap after the meeting? Yes, of course, I cordially helped this person take their foot out of their mouth. I’ve gotten so good at this that I have toyed with the idea of starting a consulting firm. …And I leave that blank for a reason. During a fellowship abroad, I was astonishingly bombarded with feedback from my colleagues on Americans. As one of the only two in the department, I opted to be more of an observer in these moments—most of what was noted was true, though I wasn’t sure if the judgments of “Americanism” necessarily were. By the end of my project, I felt American. Never before had I embraced that as part of my identity, nor could I have passionately conveyed what that meant about me as a person. 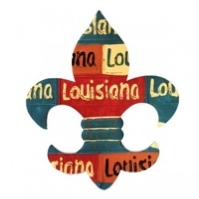 I was raised in a very culturally rich region of Southwest Louisiana, and had only identified myself as Cajun. However, the essence of that is far less universally known, and definitely less controversial. The reminders of what being American meant to other people inspired me. (Yes, I prefer my Coca-Cola ice-cold, and I really don’t think that conditioning air in the summer months is a bad idea.) This accidental immersion program equipped me to be able to jump in on multi-national teams without hesitation, and with a more robust perspective. Remembering these lessons has helped me to reduce the noise that I sometimes sense around ‘diversity issues’, such that diversity has become something that I look for. I have taught my students and will continue to teach my daughter: we can collaborate with anyone, anywhere when we know who we are, consider the different faces of experience, and different frames of reference. Conveniently, this approach functions as a basic model for problem solving, and provokes even the youngest investigator to consider all the moving parts of a situation. How do you see diversity and differences? Are you connected to who you are, experiences around you and difference frames of reference? I’d love to hear your thoughts.